SmokeStixx is pleased to announce the launch of America’s first set of customized decals for cigarette packs. Primed to become America’s newest fun fashion accessory, casual or regular smokers can now personalize cigarette packs to reflect their personality or mood. Cigarette consumers no longer need to feel ashamed about buying cigarettes. 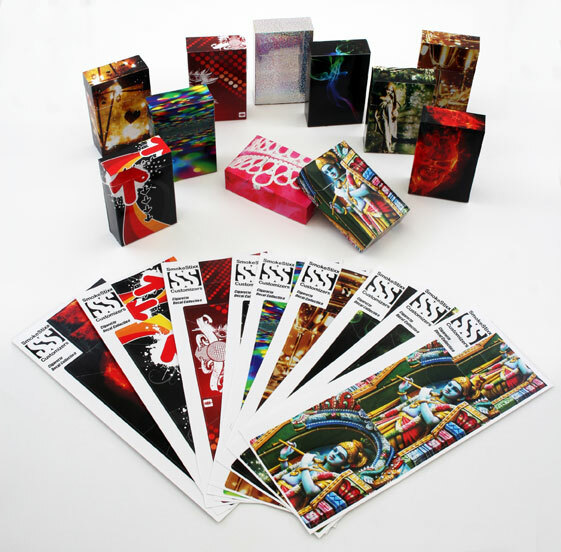 SmokeStixx decals dramatically transform the appearance of cigarette boxes into fashion forward accessories. Each SmokeStixx sticker sheet retails for an affordable $.75 to $.99 and comes with easy to follow application instructions. In under a minute and a dollar, a standard pack of cigarettes becomes a mini work of SmokeStixx art. When the pack is finished, simply toss it away, and order a different new design. With SmokeStixx, cigarette lovers never have to be caught wearing the same cigarette accessory twice.